Hi! I'm TXX, and I'm an aspiring modder! This is my first time making mods, and so far I have made FOUR. I'm quite happy with the result! The Smiley Gem Mod adds smiley gems into Minecraft, which can be found from a new ore. These gems can be used to craft either powerful tools and armor or alloys, which... can ALSO be crafted into more powerful tools and armor. Simply replace the iron ingot with either Gold, Diamond or Emerald for any other alloy. > The emerald-smiley alloy currently has no use apart from being stuck onto item frames for aesthetics, though it may be used for currency to trade with villagers in the future. Had to port downwards to 1.6.1, since I forgot at first. I decided that I should stop the development of this mod, since it just seems way too cliche to me. 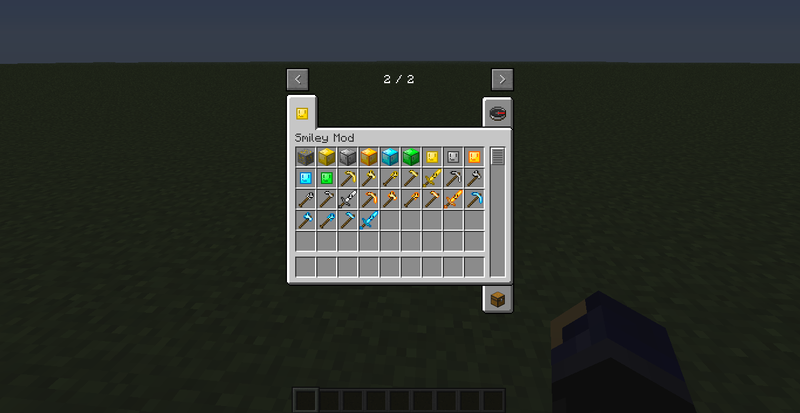 There are already many mods that simply add ores and gems that can be crafted into tools, so I'm not gonna bother with this. 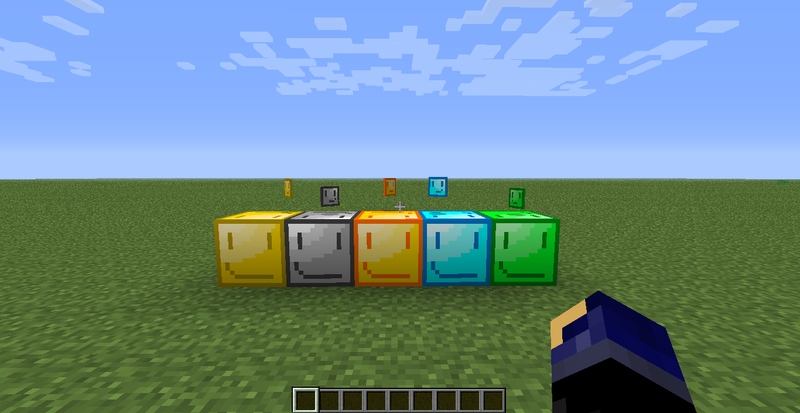 I am keeping the Smiley Gem Mod up and running though, as I like the idea of gems with smileyfaces on them. Adds an invisible, unbreakable barrier block. Originally made because I was bored, but it can be used in servers for areas which cannot be accessed just by walking in or... something. Hopefully, it should have disappeared out of the creative menu. Whoops! Turns out I forgot to remove the block from the creative menu after testing! EDIT: Darn. It was still there. This mod is, of course, open source, although there are still some restrictions. You may use the source ONLY to downgrade the mod to a previous version of Minecraft to use in your older servers. You may NOT, however, upload this mod anywhere with prior written consent from MOI (in which case I will upload specifically on this thread). The reason for which I will be uploading downgrades is because I am not going to just waste my time downgrading this mod to EVERY SINGLE PREVIOUS VERSION of Minecraft. This form is to be completed by anyone wanting to downgrade this mod to any version between MC1.1 and MC1.6.1 and sent to me in a Personal Message. Forge is required for all versions for which it has been released. If Forge is not available for that version, just use Risugami's ModLoader. THIS ISN'T A JOKE MOD. It is an actual mod which can be downloaded and used. Also, this mod will not be updated to 1.8, since Mojang have added their own Barrier Block in snapshot 14w04a. This is a relatively small mod that adds crafting recipes for stained glass panes that don't require ready-made stained glass blocks. That's about it. Surround a dye of your choice fully with glass panes. This will yield 8 stained glass panes. This mod is copyright and the intellectual property of TXX59 (I am not putting in my actual name for privacy reasons). It may be not be reproduced under any circumstances except for personal, private use as long as it remains in its unaltered, unedited form. It may not be placed on any web site or otherwise distributed publicly without advance written permission from me. Any attempts to make money off my mod are strictly forbidden. Use of my mod on any other website or as a part of any public display is strictly prohibited, and a violation of copyright unless given permission by me. That one came because of boredom. I have many ideas for the Smiley Gem Mod however. Keep it up; looks fun!